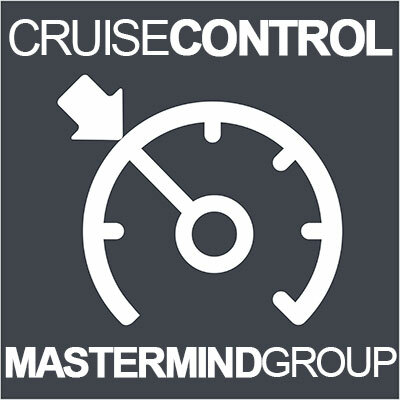 Cruise Control is an Ongoing Special Private Mastermind and Support Group for Entrepreneurs who Already Have a Level of Expertise in Facebook Advertising and Online Marketing. The Private Mastermind Meets Online Once a Week. Members are Kept Apprised of all the Latest Strategies Required to Achieve Maximum Success in Their Online Marketing. A Full Access, Quarterly Membership to the group. Having an Expert to Guide you Through the Many Intricacies of Online Marketing and Advertising. Not Wasting Money on Tactics that Don’t Work. Being the First to Learn Cutting Edge Strategies, and Having Experts Guide you in Applying them. Being Able to Scale your Business Quickly and Efficiently. Learn Additional Monetization Strategies And Capitalize on Them. Enjoy The Fruits of Powerful Relationships With Experts And Successful Students. How Is This Group Private? Business owners who are currently advertising on the Facebook ad platform with budgets of at least $1,000 per month.